It is a great time to be British. And if by birth you were not blessed, then a close second is to be living here n 2012. You can’t help but feel British. 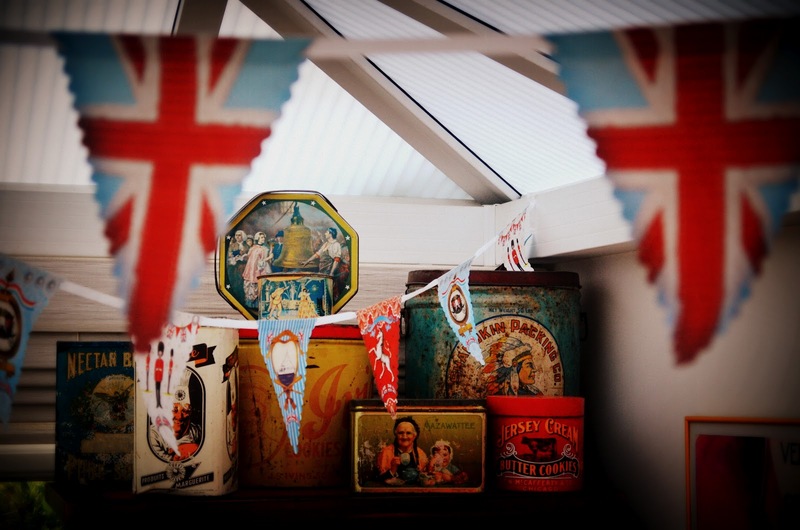 The Jubilee celebrations have come and gone, but I just cannot bring myself to take down the patriotic bunting in our conservatory. It seems no one else can either. I’d compare it to the post Christmas blues. Those being the weepy weeks after the Christmas decorations have been put away, the diets have started and you have to return back to work. I spend these mournful days rearranging tsatskes in an effort to fill gaping holes once inhabited by festive snow globes and baubles. 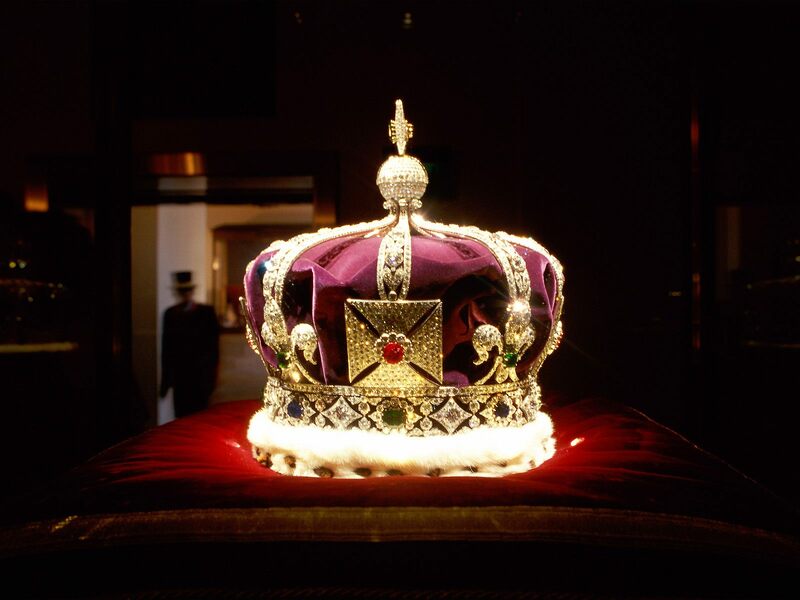 I got to thinking… if I am feeling post- Jubilee blues… how utterly depressed Her Majesty Queenie E II must feel? It is hard enough to leave a good party. How does one leave a four day Jubilee bash that gave the nation an extra bank holiday in your honour? London did good. Real good. The Jubilee events were quite spectacular. I for one did not pay much attention to the build up of events. It was only just a few days before the weekend kicked off that I suddenly had the urge to go to the events with the millions of other adorning civilians. I called a team huddle with Ouisie. Are we set to take an hour train into London Waterloo? Can we swipe 1.5 coveted places on the underground? Can we hoof it a few miles, with you insisting on pitching in with your own two feet? Do we combat the weather in hopes of seeing the Royal Barge drift by? 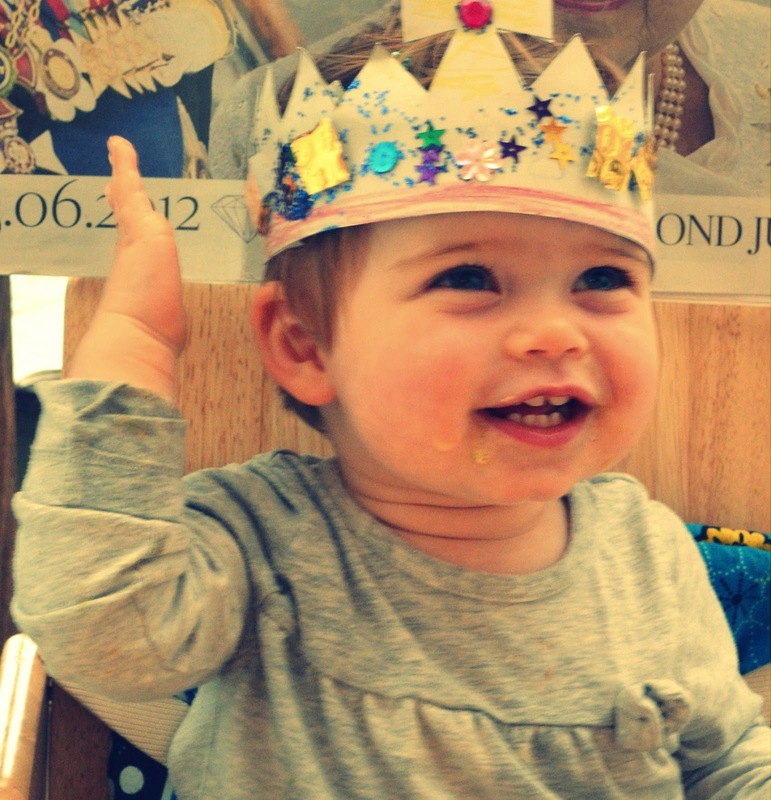 Ouisie decided she’d just catch the next Jubilee. As the rain poured down, Ouisie and I watched Her Majesty wave at the soaked admirers lining the river banks, courtesy of the BBC broadcast, from under our makeshift tent in the living room . 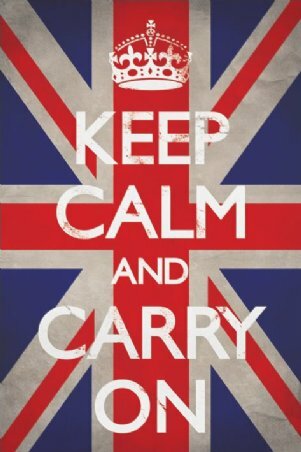 What I have come to love most about the British is their unyielding resolve to : KEEP CALM AND CARRY ON! 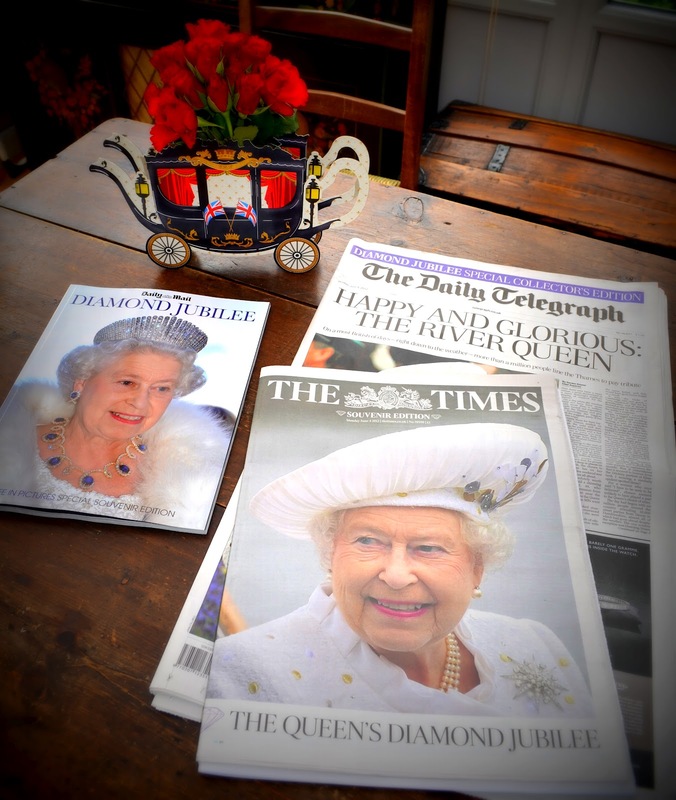 Despite the ornery wet English weather over the festive weekend, 10,000+ street parties celebrated the Queen’s Diamond Jubilee around the country. Over 1,000,000 lined the banks of the Thames for the floatilla and 100s of 1,000s flanked the streets and parks around the city for the BBC Jubilee Concert and Royal Procession. 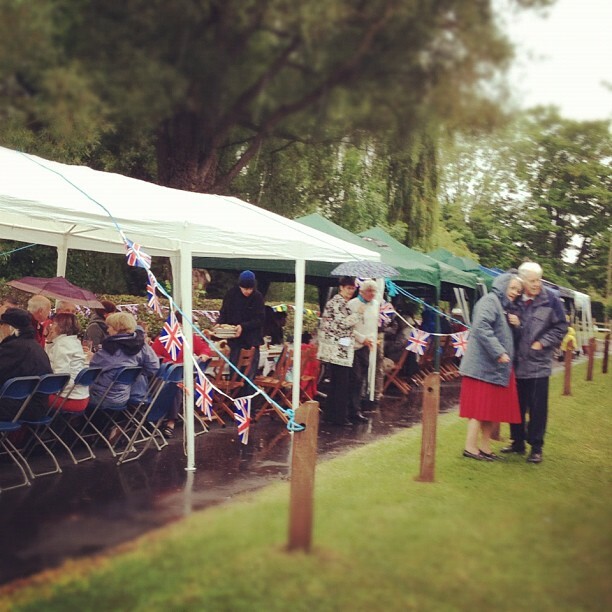 Only in England would you find a queue of people lined up in the pouring rain for a bit of cake and a spot of tea. There is something special about Britain. I give much credit to this feeling because of Her Majesty the Queen who has reigned as monarch for 60 years. This past week,while polishing up my resume, I thought I’d look up Her Majesty’s work experience. Let’s just say— I’ve got plenty of room for further growth and development. 9 royal thrones on hand for those required appearances. Negotiating with a one year old. Swaying a stubborn husband. A personalized brick, bought by my parents, to celebrate my high school graduation. To have any hope of measuring up– at least with the number of owned dogs– I have allowed myself 60 years and some real good luck. 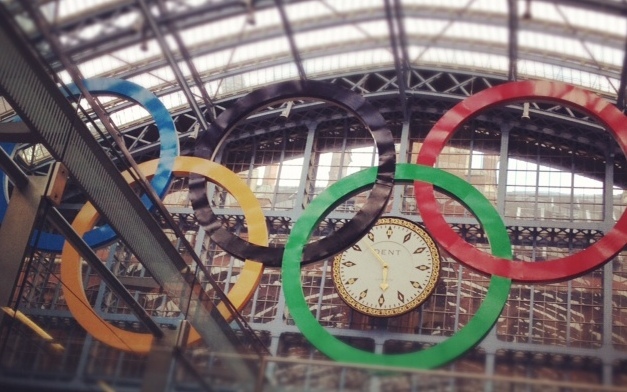 Coming up: London welcomes the 2012 Summer Olympic Games. While this will cater to my romantic love of all things patriotic, it will be a reminder that becoming an Olympian at this point is about a likely as me one day inheriting nine royal thrones. Seeing as I did not enter the ticket lottery for this historic event either, Ouisie and I will be cheering on the athletes under our makeshift tent. Absolutely BRILLIANT. . . . You and Ouisie are definitely “Royals in Training!” I'm sure you two were much drier under your makeshift tent than all those stoic Brits along the Thames.